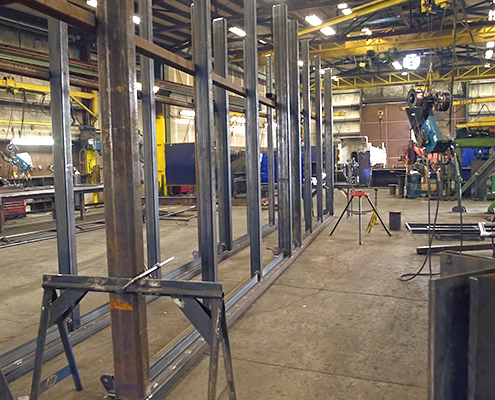 Blue Star Welding, LLC offers a wide range of services starting with design and detailing to fabrication, painting, installation and everything in between. 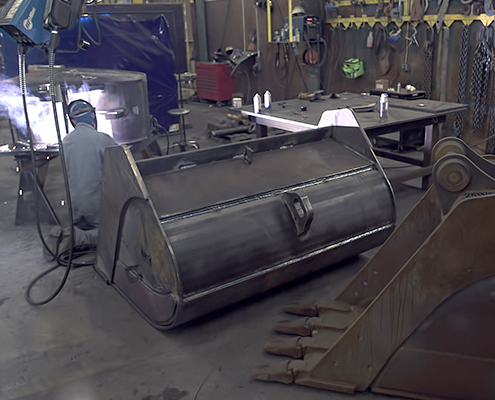 Our WABO certified welders, detailed painters and knowledgeable machinist make up our hard working team that strive to get your project done with quality craftsmanship. 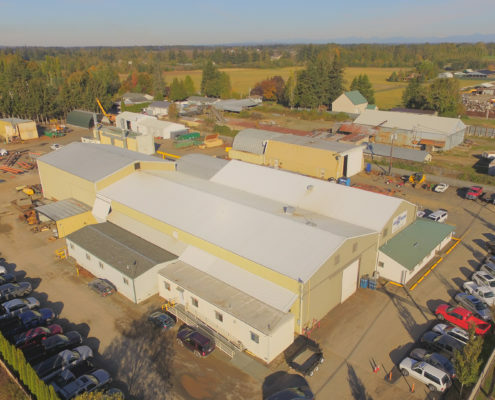 We are a locally owned and operated family business employing local people and trades in the Northwest. 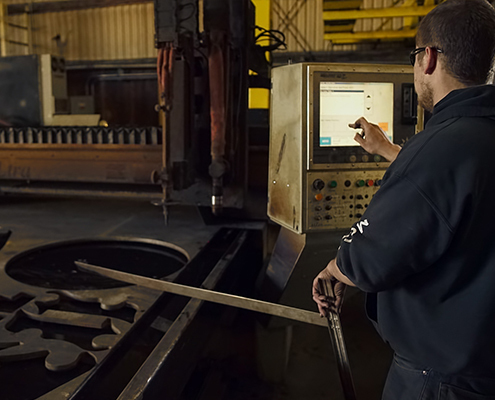 Building on a foundation of quality, reliability and technology, has allowed us to expand our offerings and build stronger business relationships. 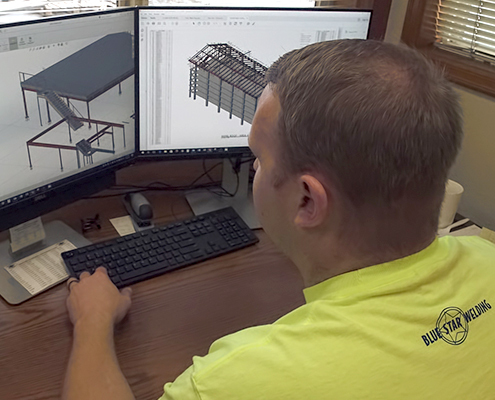 This is not only the key to Blue Star Welding’s continued success and growth, but our clients’ as well. 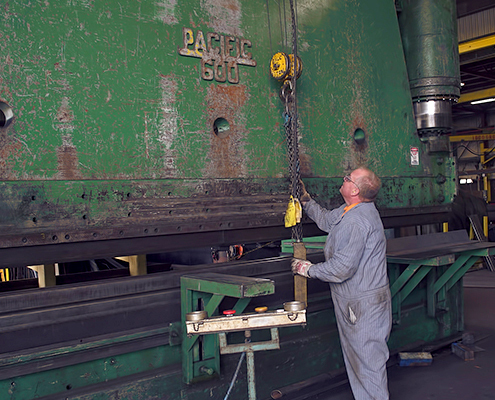 We have a strong history of customer service and integrity, and are here to serve you. Contact us to discuss your project needs. 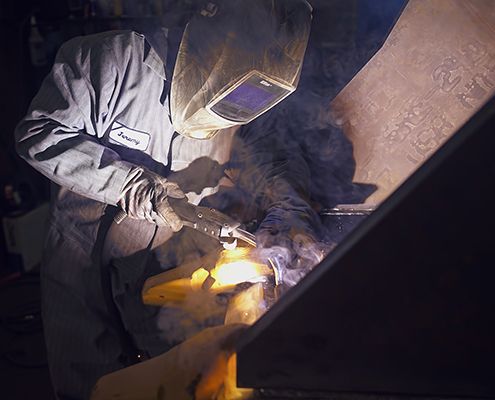 Blue Star Welding, LLC was founded in 1981 by Frank Priebe. 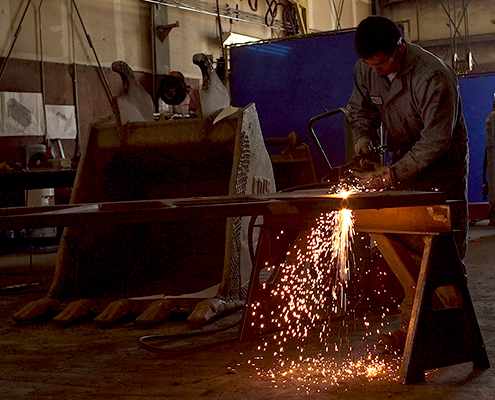 It started out primarily as a heavy equipment, repair welding company. 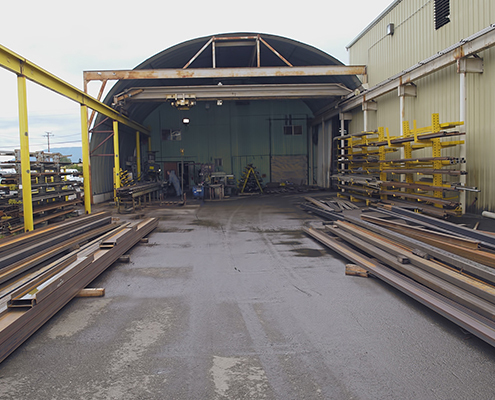 As the company grew, the welding and fabrication services expanded to include line boring, cylinder repair, machining and bucket manufacturing. 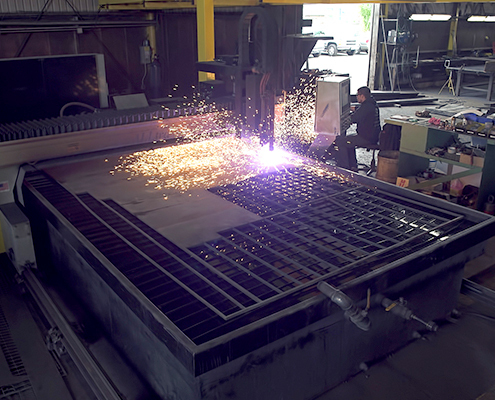 With the purchase of the company in January of 2016, Jerod Priebe officially became the second generation owner of Blue Star Welding. His vision and leadership have been a key driving force for the company’s continued expansion of services and fabrication capacity. 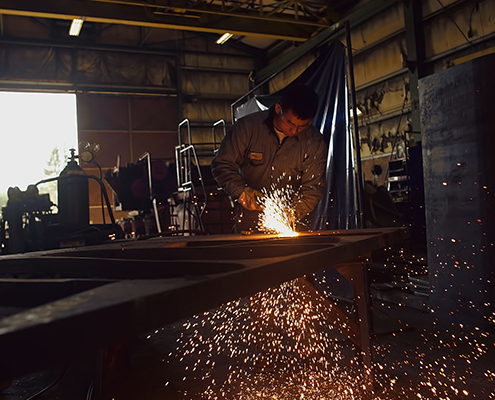 Today, Blue Star Welding celebrates over 35 years in business. 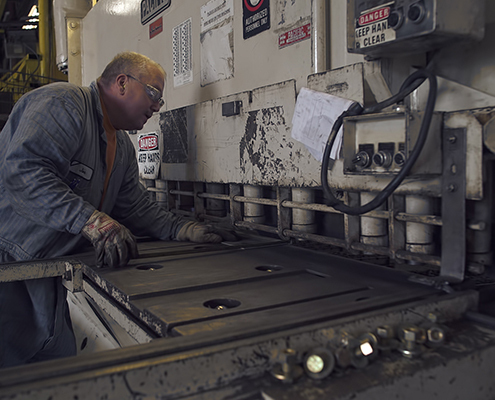 We continue to strive to provide the highest level of quality, elite customer service, and prompt turnaround in our industry while growing with our customers and their needs. 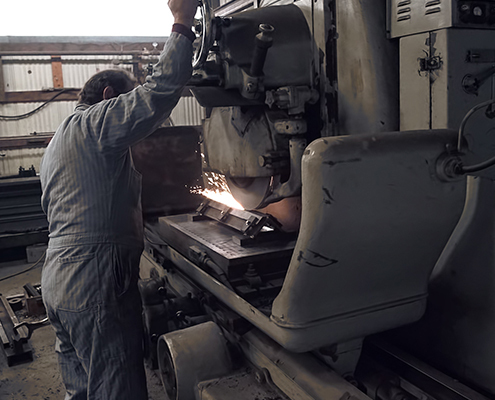 Giving back to the community is a core value for Blue Star Welding. We’ve long been a strong believer in building better communities through serving the needs of our neighbors. Without the patronage of our community we would not be where we are today and we definitely don’t take that for granted. We like to stay involved in our local school districts by donating time, money or materials to help brighten the children’s lives at school, home or after school activities. Recently we helped the Meridian School District by “Stuffing the Bus” with an equivalent to 12,858 lbs of food donated. We live and work in a generous community and we could not be any more proud/excited to be apart of a community that stays involved and helps other in need when they can! Another year has gone by and we are once again signing up for the JINGLE BELL RUN/WALK! If you would like to join us on the walk we would LOVE to have you (and your family). If you are unable to participate, we would greatly appreciate any donations that you are able to give. Thank you for your support!